Location of Orland Park in Cook County, Illinois. 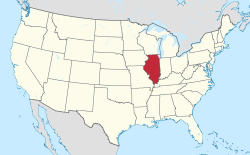 Orland Park is a village in Cook County, Illinois, United States, a suburb of Chicago, which in 2010 had a population of 56,767. 25 miles (40 km) southwest of Chicago, Orland Park is close to several interstate highways, with the I-80 east-west coast connector as its southern border. The Metra commuter rail system links it to the Chicago Loop and from there to O'Hare and Midway airports. ✪ Black Sheep Nightclub Orland Park, IL Great night out !!!! The village was incorporated on May 31, 1892. According to the 2015 census, Orland Park has a total area of 22.167 square miles (57.41 km2), of which 21.88 square miles (56.67 km2) (or 98.71%) is land and 0.287 square miles (0.74 km2) (or 1.29%) is water. Communities bordering Orland Park include Homer Glen to the west (in Will County), Orland Hills and Mokena (also in Will County) to the south, Tinley Park to the southeast, Oak Forest to the east, and Palos Park and Palos Heights to the north. As of the 2000 census, there were 51,077 people, 18,675 households, and 14,361 families residing in the village. The population density was 2,668.4 people per square mile (1,030.4/km²). There were 19,045 housing units at an average density of 995.0 per square mile (384.2/km²). The racial makeup of the village was 93.53% White, 0.73% African American, 0.07% Native American, 3.47% Asian, 0.04% Pacific Islander, 1.04% from other races, and 1.13% from two or more races. Hispanic or Latino of any race were 3.67% of the population. There were 18,675 households out of which 32.2% had children under the age of 18 living with them; 66.3% were married couples living together, 7.9% had a female householder with no husband present, and 23.1% were non-families. 20.6% of all households were made up of individuals and 10.0% had someone living alone who was 65 years of age or older. The average household size was 2.71 and the average family size was 3.16. In the village, the population was spread out with 24.4% under the age of 18, 7.1% from 18 to 24, 24.8% from 25 to 44, 27.3% from 45 to 64, and 16.4% who were 65 years of age or older. The median age was 41 years. For every 100 females, there were 91.7 males. For every 100 females age 18 and over, there were 87.7 males. The median income for a household in the village was $67,574, and the median income for a family was $77,507 (these figures had risen to $76,760 and $95,405 respectively as of a 2007 estimate). Males had a median income of $57,275 versus $34,763 for females. The per capita income for the village was $30,467. About 2.1% of families and 3.1% of the population were below the poverty line, including 3.9% of those under age 18 and 3.0% of those age 65 or over. Since 2000, the average household income in the Orland Park area has risen substantially to an estimated $90,917 in 2006. Orland Park's businesses and jobs include finance, retail, services and healthcare. Shopping complexes include Orland Park Crossing and Orland Square Mall. Orland Park plans to develop a new downtown district, the Orland Park Downtown, previously called the Main Street Triangle, as well as the I-80 Business District. Orland Park has a large Recreation and Parks Department. The village has over 60 parks, with plenty of options for recreation, from sports complexes to nature trails. The Centennial Park Aquatic Center is a 192-acre (78 ha) park with a public pool. With six water slides, two large pools, and a children's play area, it is one of the largest public pools in the area. Since its debut in 1992, the Aquatic center has gone through multiple renovations. There have been several add-ons, including two new water slides, and two outdoor sand volleyball courts. Just south of the Centennial Park Aquatic Center is the 95-acre (38 ha) Lake Segdewick. It has hiking paths, nature trails, boardwalks, boat ramps, and pedal boats and kayaks for rent. Fishing is allowed. The Winter Wonderland Ice Rink is also in Centennial Park. Open from November to March, this outdoor ice rink is free of charge. There is a small warming hut where you can rent ice skates. The Sportsplex, on 159th Street, is Orland Park's largest indoor recreational facility. It has three full-sized basketball courts, an indoor soccer field, and a full weight room with free weights, plenty of cardio options, and a ¼-mile indoor track. Personal trainers are available, along with fitness classes, including Pilates, yoga, cycling, and Zumba. The Sportsplex also has a 35-foot (11 m) rock wall with six different routes for all skill levels. The Recreation and Parks Department also helps organize many public events. Centennial Park hosts charity events and seasonal events, including the Orland Park Turkey Trot, a 5K run held on Thanksgiving morning at the John Humphrey Complex. These events are heavily advertised and supported by students of Carl Sandburg High School. Orland Park is divided between two Congressional districts, the 1st and the 3rd. The elected Board of Trustees makes local legislation for the village. The elected officials include the village president (who also serves as mayor), village clerk, and six village trustees, each of whom is elected at large to a four-year term. Orland Park is served by four grammar school districts, Orland School District #135, Community Consolidated School District #146, Palos School District #118 and Kirby School District #140. A majority of Orland Park is within Orland School District #135. St. Michael School is in Orland Park. A number of other parochial schools in the region provide bus service for Orland Park students. Orland Park's major high schools are Carl Sandburg High School, Victor J. Andrew High School and Amos Alonzo Stagg High School. CSHS has a little less than 4,000 students. Sandburg has won several Regional, Sectional, and State sports titles over the years. Sandburg’s ACT composite score for 2007-08 was 22.7 with SAT scores averaging 635, 644 and 630 for Critical Reading, Math and Writing, respectively. A number of higher education facilities are in the village. St. Xavier University operates a satellite campus in Orland Park, as did the ITT Technical Institute until its closing in September 2016. Robert Morris University (Illinois) has both an Orland Park campus as well as a second facility in the village, the culinary arts school. Community college education is offered at Moraine Valley Community College, in nearby Palos Hills. Sixty percent of Orland Park households have someone with at least a bachelor's degree, with a significant number of residents having completed postgraduate work. Orland Park's local newspaper is the Orland Park Prairie. Local cable television channel Orland Park TV can be viewed on AT&T UVerse Channel 99 and Comcast Channel 4. Orland Park has three stops on Metra's SouthWest Service, which provides weekday and weekend rail service between Manhattan, Illinois, and Chicago Union Station): 143rd Street, 153rd Street, and 179th Street. ^ Nolan, Mike. "Incoming Orland Park mayor to hold post-election fundraiser". Chicago Tribune. Retrieved 5 June 2017. ^ "Geographic Names Information System". United States Geological Survey. Retrieved 2008-01-31. ^ a b "Profile of General Population and Housing Characteristics: 2010 Demographic Profile Data (DP-1): Orland Park village, Illinois". U.S. Census Bureau, American Factfinder. Retrieved March 18, 2013. ^ Illinois Regional Archives Depository System. "Name Index to Illinois Local Governments". Illinois State Archives. Illinois Secretary of State. Archived from the original on 24 June 2011. Retrieved 25 March 2014. ^ Profile of Selected Social Characteristics, Orland Park, Illinois. U.S. Census Bureau. Accessed 2007-07-11. ^ a b "Village of Orland Park, IL - Official Website - Board of Trustees". www.orland-park.il.us. Retrieved 2018-01-18. ^ Sanders, Hosea (26 February 2010). "Sweet Homes Chicago: Buddy Guy". ABC 7 News. Retrieved 4 June 2012.